After Rihanna was seen sneaking into Ashton Kutcher's Los Angeles home last weekend then leaving, Word on the street (okay, actually the print edition of OK! magazine) was that Ashton Kutcher was making Rihanna pay for their midnight hookup being caught on camera by paparazzi by breaking it off with her. Well, now we have a new narrative, courtesy of TaleTela: Chris Brown is actually the one who broke up the budding couple! "Sources now say that Ashton backed off after receiving warnings from RiRi's ex Chris and friend Diddy," TaleTela reported on Thursday. "At first, Ashton took it as a joke," the source told the gossip site, "but Diddy told him that Chris was dead serious and really worked up about the idea that Rihanna has moved on." Rihanna, naturally, was not pleased with Chris Brown's interference. According to the site, the Bajan beauty "was so angry after learning of his challenge to Ashton, she called her jealous ex and told him to back off." This of course would seem the exact opposite of what the rumors were earlier in the week – that Chris Brown told Rihanna to back off! "Rihanna has overstepped the limit with Chris Brown," Celeb Dirty Laundry wrote, "and he is speaking up and saying that he is well and truly sick of her." So which is it? 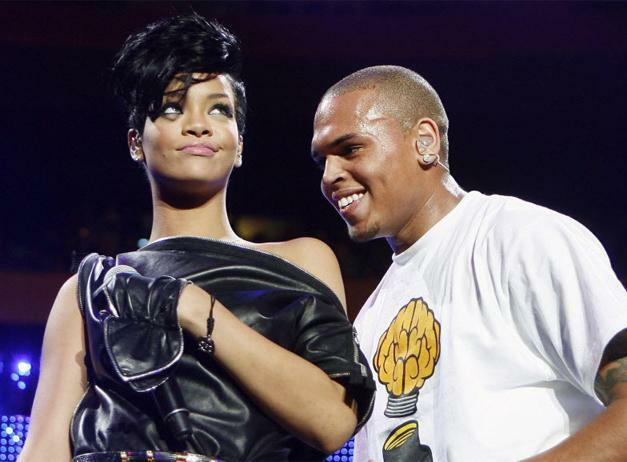 Is Chris Brown telling Rihanna to step off Karrueche, or is he telling Ashton – with P.Diddy's help! – to step off Rihanna? Or could it be both? Given how confused this relationship seems, we wouldn't rule it out!